“I’m no longer who I was, no longer who I thought I was. 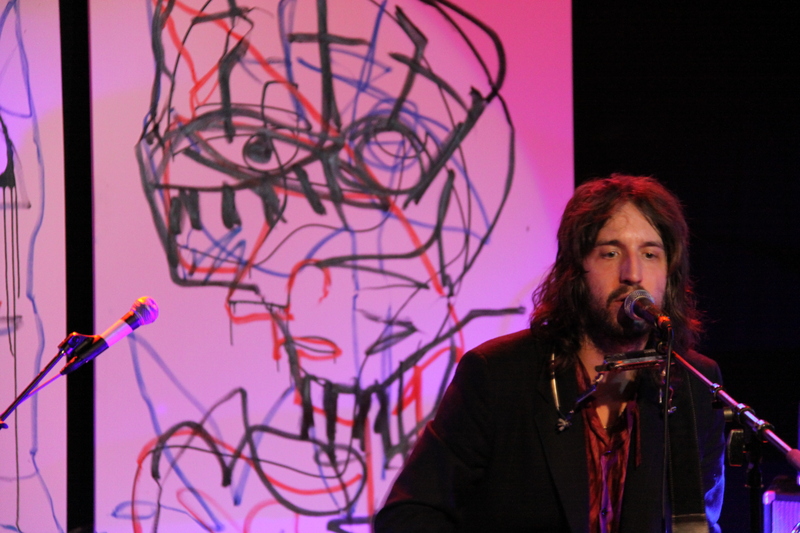 . . ” Joseph Arthur sang during a stellar performance of his song, “You Are Free” at The Troubadour. Well, I’ve been seeing Arthur perform live for the past 11 years and I don’t know who he thinks he is, but I think he is still one of the best songwriters around. 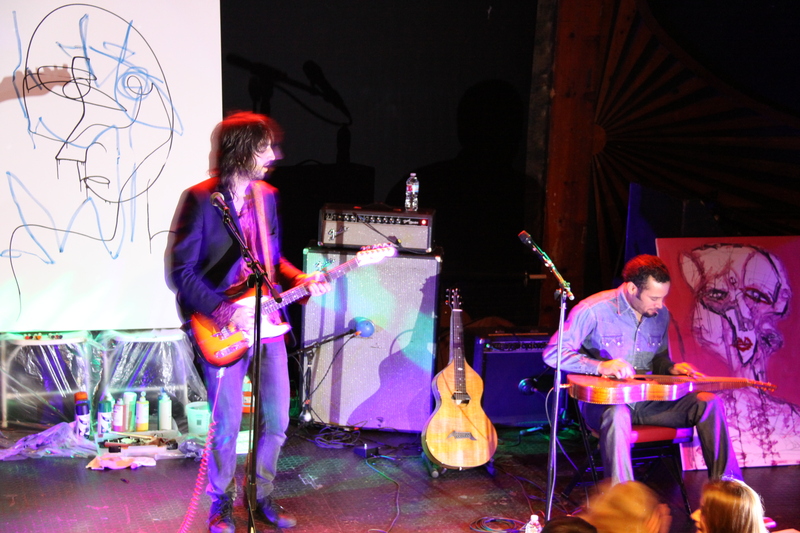 The first time I saw Joseph Arthur play he was opening for David Gray at The Palace (now The Avalon) in Hollywood. He performed solo and I watched in amazement as Arthur used numerous pedals to create and loop sounds, building momentum and evolving into extraordinary songs. It was the first time I had experienced an audience uproar for an opening act to do an encore performance (this was before Queens of The Stone Age opened for Nine Inch Nails). The crowd went insane when Arthur finished his short 30-minute set and were absolutely devastated when he didn’t return for an encore. After David Gray’s set, people were still talking about Joseph Arthur. Flash forward to January 23, 2010: At this point Arthur can build a song by looping various beats and sounds, as he creates them, effortlessly. 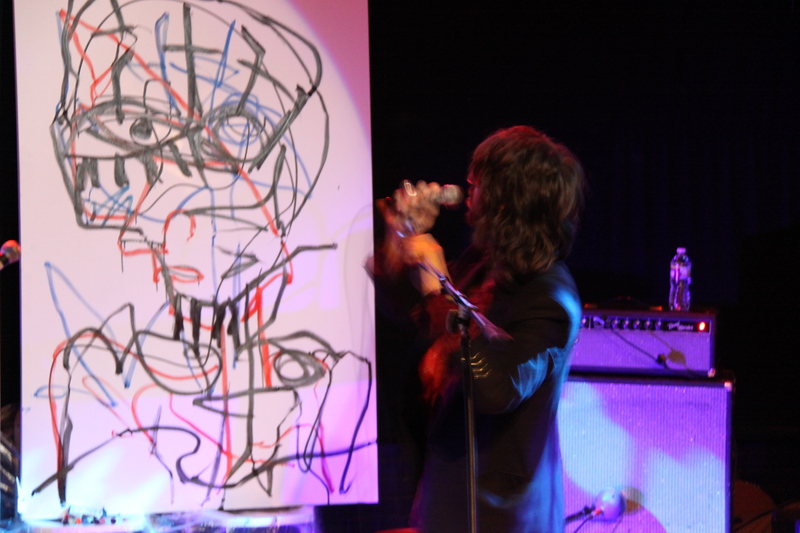 Once he lays down the tracks, he can paint while singing. 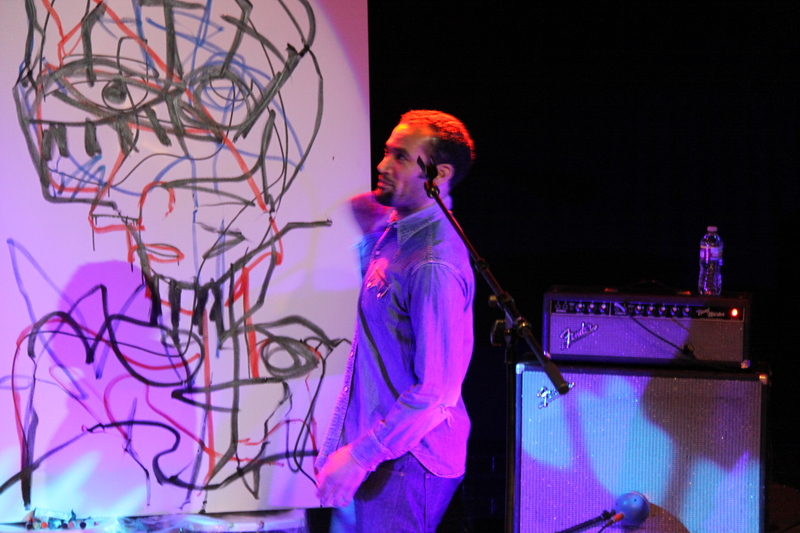 I’ve seen some live painting during concerts in my time, but usually the painter is another artist, not the performing musician. 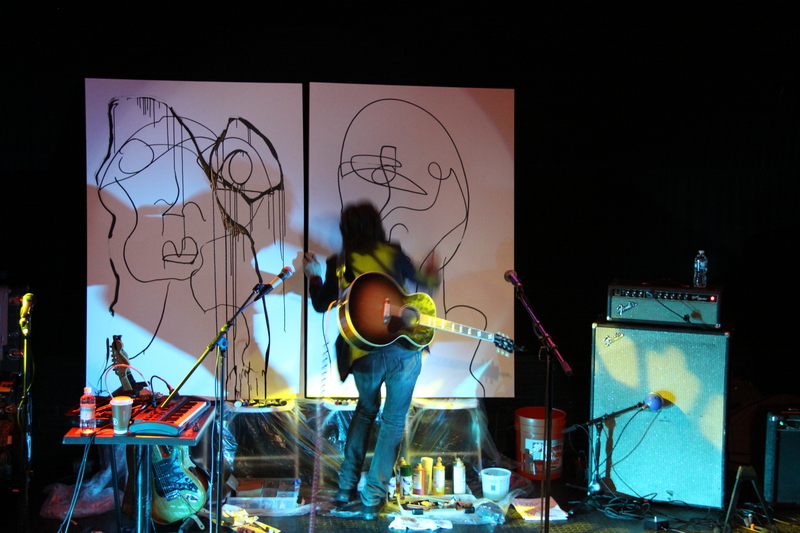 In Joseph Arthur’s case, he performs while simultaneously painting on several massive canvases. Arthur wasn’t just painting on stage because he could. After the show, Arthur sold his paintings, with 100% of the proceeds donated directly to the Clinton Bush Haiti Fund. Harper, Arthur was joined by band mates Jessy Green, Sibyl Buck, and Kraig Jarret. After the show, Arthur made his way to the front room where he signed autographs and took photos with every fan. He continued painting between photos and autographs, sometimes with frustration, other times with ease. 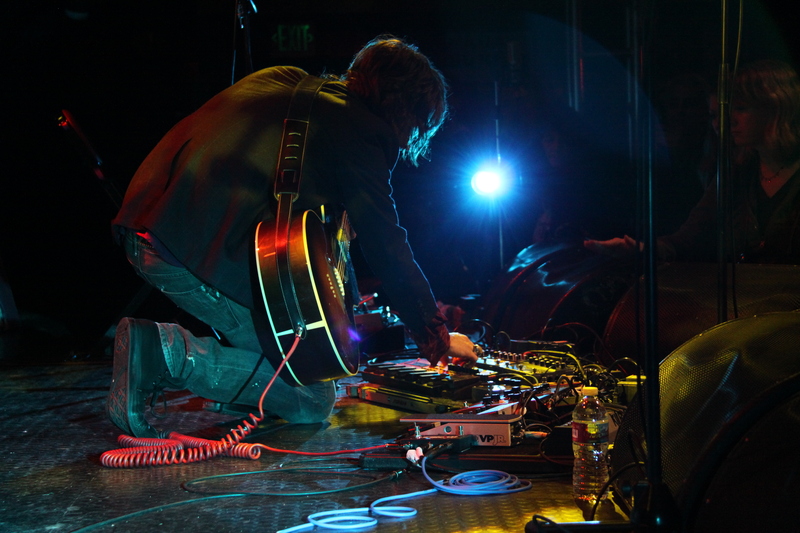 Arthur also sold live bootlegs of that night’s show immediately following the set – something he began doing several years ago and that I was pleased to see him continuing to do. 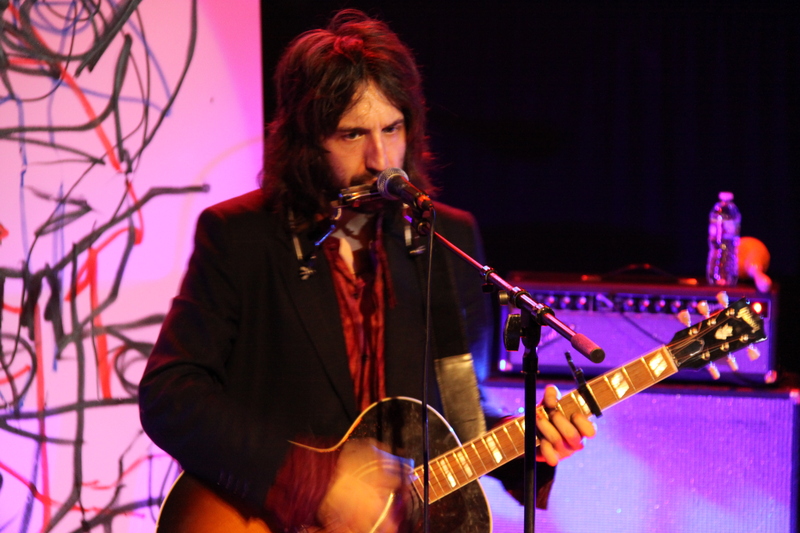 After all these years, thankfully, Joseph Arthur is still who I thought he was. 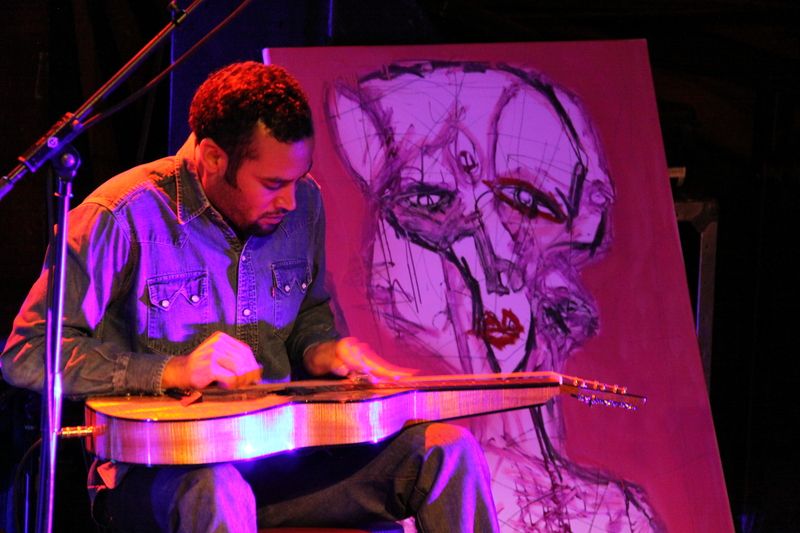 This entry was posted in Benefit, Largo, Troubadour and tagged Ben Harper, Benefit, Haiti, In The Sun, Jessy Green, Joseph Arthur, Kraig Jarret, Sibyl Buck, The Troubadour.